Arni is a town and a municipality in Tiruvanamalai district in the state of Tamil Nadu, India. The name comes from the word araneeyam which means a place surrounded by a forest. As of 2011, the town had a population of 63,671. Aarani is located at 12.67°N 79.28°E? / 12.67; 79.28 on the banks of the Kamandala Naaga river. It has an average elevation of 151 metres (495 ft). It is located about 38 kilometres (24 mi) from Vellore and 60 kilometres (37 mi) from Thiruvannamalai. The city is well connected through various well formed roads, the state highways SH-4 (Arcot - Arni - Gingee - Villupuram Road), SH-132 (Kannamangalam - Arni Road) are the major roads connecting Arni. The nearest railway station is "Arani Road" located at Kalambur, which is 8 km from the town. A bypass road works has been completed outside Arni. Arni was ruled by the Cholas after they defeated the Pallavas. Some of the important Chola kings who ruled out Arni are Kulothunga Cholan I, Vikrama Cholan, and Kulothunga Cholan II. During the rule of the Vijayanagara Kingdom in Arni, the Dasara function was celebrated grandly. In 1640 jagir of Arani was granted to Vedaji Bhaskar Pant a Marathi bramhin. The jagir continued to be headed by the descendents of Bhaskar Pant till the Zamindari Abolition Bill was passed in 1948. Poosi Malai Kuppam is 12 kilometres (7 mi) away from Arni. 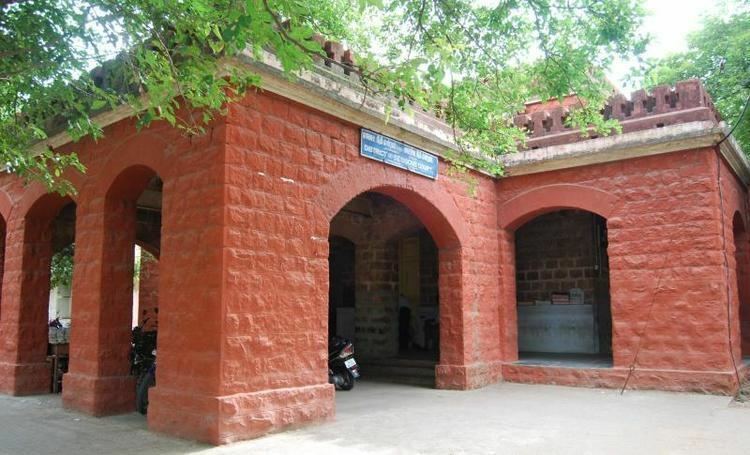 Thirumalai Saheb built a sophisticated bungalow for his lover, an Anglo-Indian lady, there. During the Nawab period, there was a struggle between the British, French and Nawab Hyder Ali. The victorious British captured Arni. There is also a palace near the town, now used by the Agriculture Department. The town was used by Arcot nawabs for their military training campus. The famous 18th-century Marathi poet, author of the very beautiful poem "Nal-Damayanti Swayamvarakhyana" (the story of swayamvara of Nal & Damayanti) Raghunath Pandit is believed to have lived here. The tomb situated in the heart of city for Sir. Ensign Robert Kelly who was a surveying Arni area, a Colonel by then, died in September 1790. Arahanthgiri Jain Math is a Jain Math that was established at the ancient Jain site of Tiruvannaamalai in August, 1998. 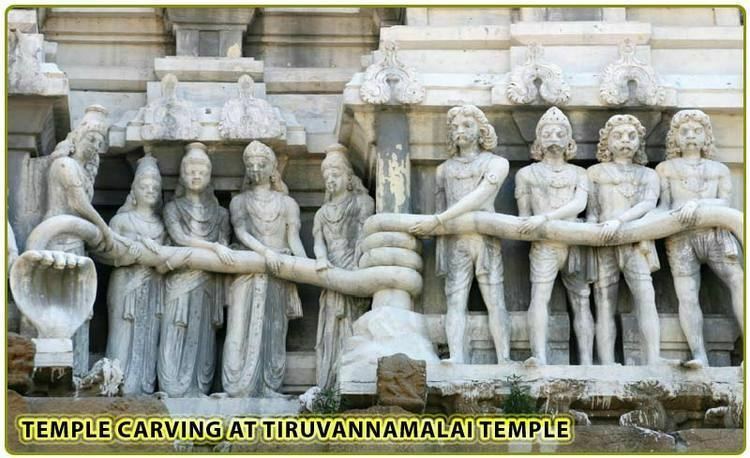 The complex includes 3 Jain caves, 4 Jain temples and a 16 meter high sculpture of Neminatha thought to date from the 12th century that is the tallest Jain image in Tamil Nadu.